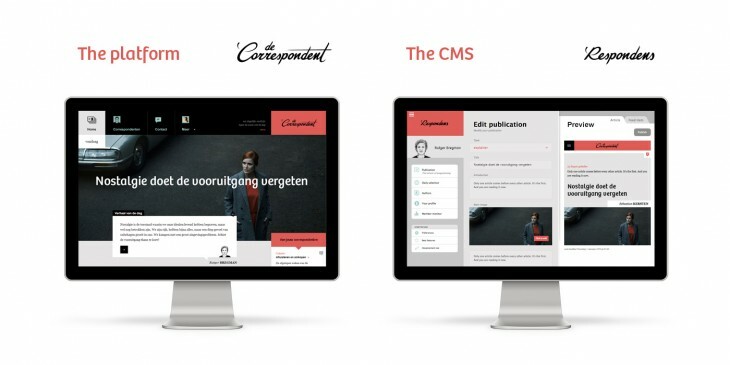 Today, Dutch journalism platform The Correspondent announced it just reached 40,000 paying members. The feat is nothing short of amazing considering it started without a website — or any content for that matter — crowdfunded $1.7 million dollars, and continued to leverage this early success into a viable business and now into a true success story. You can’t talk about crowdfunding without talking about what’s making us take a closer look at it. In this case, it’s declining ad revenue due to ad-blocking. No matter which side of the ad-blocking debate you fall on, both sides realize that there isn’t a perfect solution. If we block ads, we can’t pay for good content. If we can’t pay for good content, we all lose. On the other end of the spectrum, if we keep serving intrusive ads that aren’t at all focused to the behaviors and interests of those viewing them, they’re the digital equivalent of being slapped in the face by a billboard. Maybe crowdfunding is the answer. It’s — at the very least — too new to rule out. If crowdfunding is in its infancy, crowdfunded journalism is in utero. According to a Carlson Ventures report, crowdfunding campaigns are only successful about 44 percent of the time. Journalism campaigns are only successful 37 percent of the time. On Kickstarter, the world’s most popular crowdfunding site, the numbers are even worse. Journalism pitches are only successfully backed around 25 percent of the time. The Correspondent is an outlier. What started as a $1.7 million crowdfunding campaign has since ballooned into 40,000 subscribers, each forking over €60 (about $65) a year for content. Good content helps. And if it’s good content you’re looking for then The Correspondent has it in droves. This insight on the rather backwards nature of links, for example, is solid gold. Or maybe you’d prefer a primer about why you shouldn’t put your baby photos online? It could also be positioning. Rather than being yet another faceless entity in an ever-growing crowd of media companies, The Correspondent chose to take its foot off the accelerator that comes with chasing news and offer more in-depth looks into how the news affects our day-to-day lives. Or, perhaps it’s The Correspondent’s willingness to experiment with other platforms for content delivery. Through respectful and non-intrusive means, The Correspondent gently massages non-members from Facebook — where they share one or two free stories daily — to the website, and from the website to email. After that, the content does the work. The real key, however, appears to be in community. The Correspondent continues to make its community a featured piece of the puzzle by not just creating content for its readers, but also with its readers. Our platform allows journalists to function as true discussion leaders, inviting readers to share their expertise and then responding with their own findings. This collective research leads to richer, more well-founded stories. After all, 100 physician readers and patients invariably know more than one Health Care Correspondent. And who better for the Education Correspondent to discuss classroom innovation with than teachers themselves? Additionally, we’ve seen a willingness from The Correspondent to remain respectful and transparent to its members throughout the growth process. The company feels the content belongs to the members that paid for it. As such, sharing stories with non-paying members won’t force them into a paywall. It is your content, after all. There’s also the desire to be upfront about where the money is going. Take this graphic, for instance. No matter what it is, The Correspondent seems to have figured out the secret sauce to crowdfunded journalism. The surprising part isn’t in its success, but in just how non-scientific the formula seems to be. Start with a good product that’s worth paying for. Add some respect and transparency. Sprinkle in a perk or two, and keep your users in the loop so that they feel they’re part of something bigger. It’s not magic, just smart business.